Being a Disneyland Prince sounds like a magical time, but what comes as a surprise to many is that it takes a lot of steps to become one of these characters at the World Resort. The potential hires go through multiple interviews to find the best of the best. We’ve put together the top 10 requirements for being a prince at Disney World Resort, just in case you wanted to join the Disney squad. Unfortunately, the costume sizes at Disney World are not made for everyone. 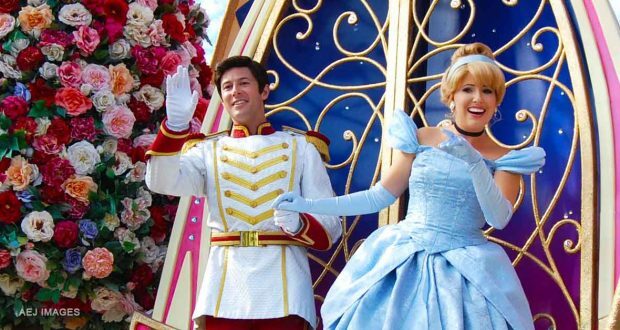 Typically, the costumes will only fit someone who resembles the actual Disney characters (very, very in shape). One must fit into this category, literally. Disney is trying to preserve the looks of the original prince’s, so this sizing rule is a must-do for them. Disney World has unique height requirements per prince. When a Disney audition is posted, it will list whatever height is ideal for the prince position being filled. Disney will most likely make zero exceptions if one does not fit this height requirement, as they want to keep things as consistent as possible. If this doesn’t narrow the selection down, I don’t know what will! It is sort of a given that they’re not really look for a 60 year old or 4 year old to play a Disney World Prince, but what age are they actually looking for? You are required to be 18 years or older when you audition for this gig, but Disney World usually aims to book 18-23 year olds for this job. What a fun job straight out of school! What comes with becoming a Disney World Prince is the rigorous addition process that Disney World puts you through, for a good reason however! To find auditions, scope out the audition calendar at DisneyAuditions.com to find where they are currently holding auditions. You will then be put through several steps, such as perfecting a dance routine, reading a script, rocking an improve interview, and more. Each person has to pass every single step of the audition process in order to be considered for the role. TIP: If you have a certain prince in mind that you’d like to be, watch the movie over and over again. Make sure you can copy their mannerisms, remember extensive details about them and making your voice sound like them is an extra bonus! This will help you thrive in the audition process. Some people who travel to Disney World are totally fun and normal, however, prince’s usually can’t avoid very awkward and uncomfortable situations that some guests might put them through. Each Disney World prince must be able to hold their own in these situations, whether it is getting harassed by extreme Disney prince fans or avoiding weird girl crushes, it takes a lot to keep the situation under control! One major requirement to become a Disney World prince is the ability to smile, nonstop, for hours. All of the prince’s need to keep their composure and happiness in any situation. Smiling pays off at Disney World Resort! When becoming a Disney World prince, you have to be able to handle the weather. Unfortunately, Florida isn’t known to have the most reliable weather. The summers are hot and rain is not taken lightly. To be a Disney World prince, you have to be able to handle standing in the heat, rain or the cold for a decent period of time. If you are to become a Disney World prince, Disney World has strict rules on not being able to tell anyone of this news. You aren’t allowed to tell anyone which character you’re playing or post on social media about it. Disney is very strict about this due to their desire to keep the magic actually magical and to not shatter the Disney allusion. If you want to be a Disney World prince, you HAVE to be a Disney Fan. There is no way you will make it through the audition process or enjoy your job if you are not. Make sure Disney is actually a passion of yours and you’ll fly through all of the requirements and enjoy every minute in the Disney World Resort. BONUS TIP: Consider planning and booking your next Disney trip with an Authorized Disney Vacation Planner you can trust like Mickey Travels. They’ll help you get the best Walt Disney World deal, share expert advice and their services are totally FREE! It’s genius!